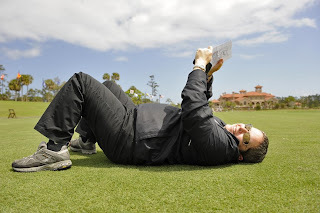 I had to shoot some TOUR Academy instructionals for PGA TOUR Partners magazine. Caryn came along to assist and blog the proceedings. Travis chips on the 16th green. 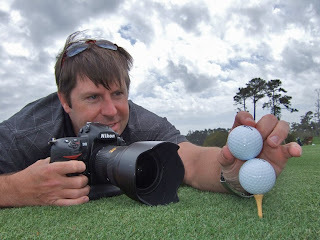 After the Partners shoot, I set up some golf balls on the range for something our design staff needed. 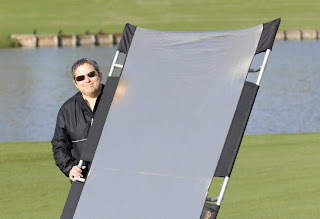 Caryn was worn out from all that reflector holding!